TokenPay, a Tor network based privacy platform, has signed a deal to acquire 9.9% of a Munich based bank with an option to buy a further 75% stake following regulatory approval. An official announcement will be made over the next few weeks when the bank's name will be released. The bank approached TokenPay in December before vetting the blockchain company over several months of negotiations. TokenPay hired Ernst & Young to complete a formal financial audit of the bank which is planning to move from real estate to blockchain technology products. TokenPay is a decentralized and self-verifying payment platform. Their focus is on user security as the system is accessed only through the Tor Browser. 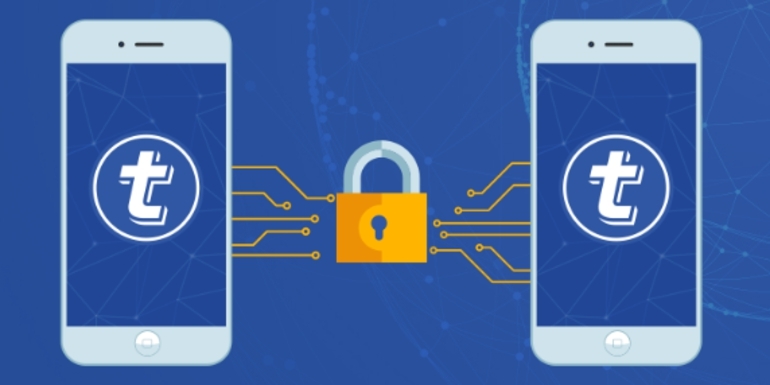 The ecosystem is further protected by a customer 2-of-3 multisignature transaction engine. TokenPay's blockchain technology is set to be implemented immediately upon the bank's closing as they take measures to accommodate the on-boarding of customers from both TokenPay and Verge's communities. Plans are in place for traditional debit cards for account holders which will allow users to spend their XVG and TPAY in shops by converting the cryptocurrency into the local currency. They are also planning to create a pre-paid gift card store where users can by gift cards with cryptocurrencies. A second bank has also approached TokenPay about a potential minority stake and partnership. 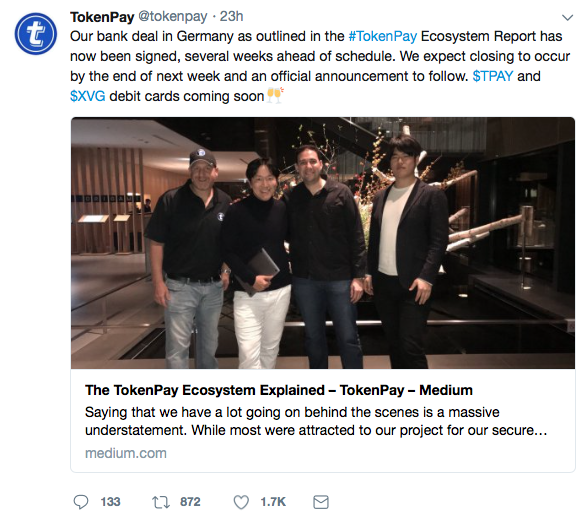 In December, TokenPay initially discussed the acquisition of a Vanuatu bank but this was dropped in favor of the German bank. TokenPay recently donated 66,550,000 XVG ($2,660,000) to complete partner Verge's fundraiser which cumulated in their partnership with Mindgeek which owns Pornhub. Verge has since called out Spotify as they try to secure another big deal. Several major cryptocurrencies have tried to bring debit cards into fruition including LitePay which was funded by the Litecoin Foundation. However in March, we reported that it had ceased operations as the funding stopped following a Reddit Ask-Me-Anything.